While changing a comic book’s contents from what was originally solicited is certainly nothing new, it can be a bit frustrating if something that you were looking forward to is seemingly being scrapped. Such is the case with an upcoming issue of Batman, a series that has already experienced such a thing within the first year of Rebirth. You may remember that Tom King and Mitch Gerads were supposed to tell a tale that was to see the Dark Knight join forces with none other than Swamp Thing, originally slated for publication in Batman #15. But, as luck would have it, that was replaced by the two-part “Rooftops” story, which has recently been collected into Batman Vol. 2: I am Suicide. So, that brings us to some good news and some bad news. 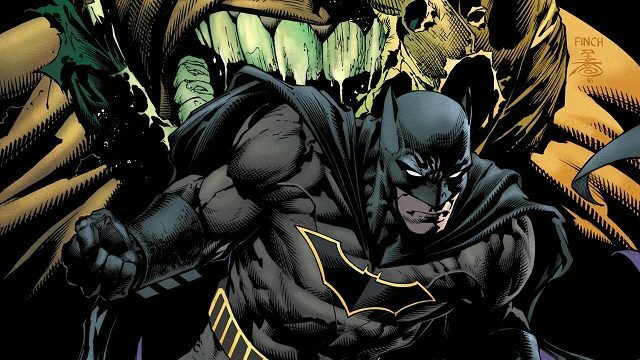 The good news is that the Swamp Thing story will see the light of day, specifically in Batman #23, the first issue to follow “The Button.” The bad news, however, is that it’s overwritten the “Aftermath” story that was set to followup on the events of “I am Bane” and to be illustrated by David Finch. In a new story The Brave and the Mold! Swamp Thing comes to Gotham City featuring new art and cover by Mitch Gerads.